During BlackBerry Live 2013 today, BlackBerry has announced a new service within BBM dubbed BBM Channels. Building on to the already feature-packed BBM, BBM Channels gives users a new way to communicate and stay in touch with people, communities and brands through BBM. BBM Channels allows users to create channels for themselves, a brand, business or community and extend their social networking through BBM. You have the ability to create and share posts that can be shared with all of your channel subscribers. BBM Channels launches in beta today and select partners already have channels available. 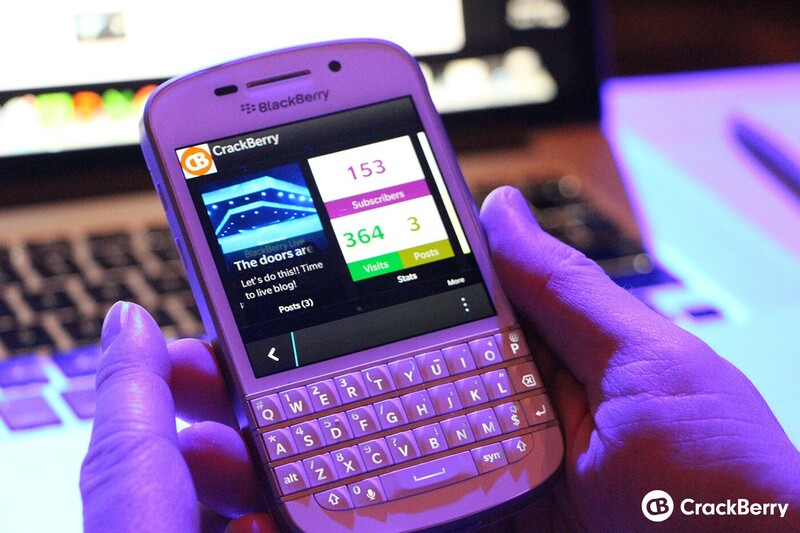 Updates will roll out every few weeks and BBM Channels will officially launch this summer. WATERLOO, ONTARIO - (May 14, 2013) - For the times when you want to share experiences beyond your friends or engage the communities you care about, BlackBerry(R) is taking its globally popular mobile social network, BlackBerry(R) Messenger (BBM(TM)), up a notch with new functionality called BBM Channels. BlackBerry (NASDAQ:BBRY)(TSX:BB) today announced the beta launch of BBM Channels, a new social engagement platform within BBM that will allow people to connect with the businesses, brands, celebrities and groups they are passionate about. Discover channels - BBM Channels includes a carousel that lets you discover new channels. You can share channel invites within a BBM chat, and people can be added or invited using the channel's PIN or QR code. -- View - View profiles for each BBM Channel you choose to follow. Participate - Participate and engage in conversations with your favorite people or communities by "Commenting" and "Liking" posts from channels you subscribe to. Channel owners have the option to directly chat one- on-one with a subscriber. Today, BlackBerry also announced plans to bring BBM to iOS(R) and Android(TM) users this summer. BlackBerry expects that iOS and Android users will also be able to experience BBM Channels later this year, subject to approval by the Apple App Store and Google Play. BBM with BBM Channels is now available in beta for BlackBerry(R) 10 smartphones, as well as BlackBerry smartphones running BlackBerry(R) 5 OS through 7.1. For BlackBerry OS customers(i), BBM Channels is part of the new BBM version 8, which also offers enhanced navigation tools, with tabbed viewing for quick and easy access to contacts, chats, groups, recent updates and BBM Channels. Furthermore, it allows the option to share your enhanced profile information with BBM contacts or within invitations. The beta releases can be downloaded for free on BlackBerry Beta Zone(ii). Customers can sign up to BlackBerry Beta Zone for free at www.BlackBerry.com/betazone. For more information about BBM, please visit www.blackberry.com/bbm. (i) BBM requires a BlackBerry service plan on BlackBerry smartphones running BlackBerry OS. (ii)BlackBerry Beta Zone is not available in all markets.